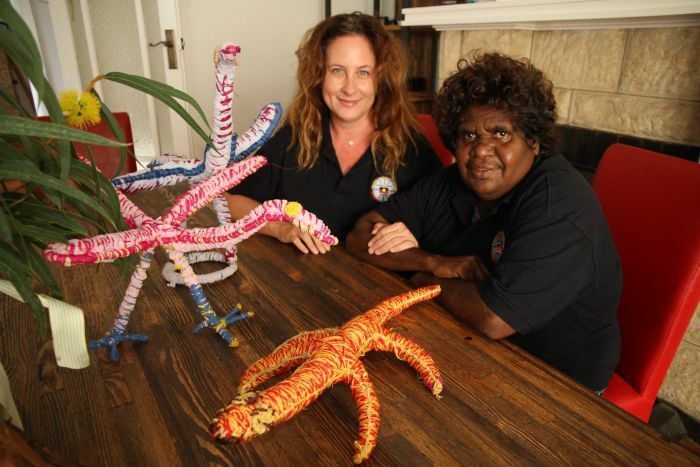 Ngangkari healers were considered the treasure of Aboriginal communities, and now their 60,000-year-old tradition has made its way to South Australia’s Royal Adelaide Hospital and rural clinics. “It all started with friendly chats, a cup of tea and kangaroo tails,” she laughed. Photo Francesca Panzironi heads ANTAC with 18 Aboriginal healers like Debbie Watson from the APY Lands. Depending on a client’s problems, Ngangkari healers offer three main techniques — a smoking ceremony, bush medicines or spirit realignment. “The most unique method of healing they use is the realignment of the human spirit. “They see the spirit as the core component of the human body. 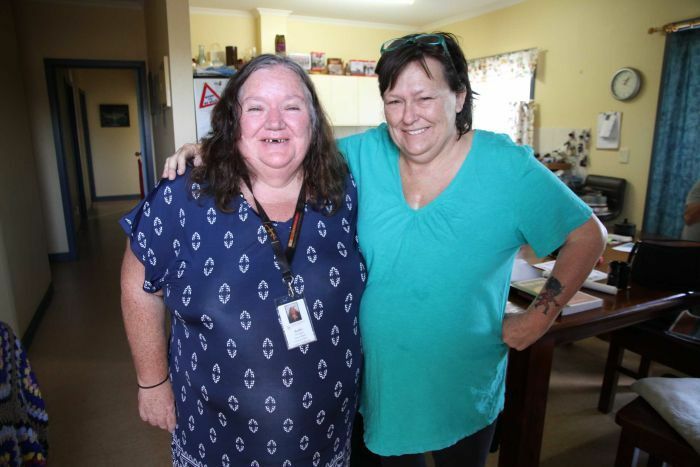 Photo Anangu healers working in city hospitals and regional clinics have gained popularity with people of all backgrounds. Photo Indigenous women Kelly Matthews (L) and Lyn Ackerman are happy to see a healer because it connects them to their culture. Aboriginal health consultant Kelly Matthews said before the healers’ involvement, it was a struggle to get Indigenous clients to see a conventional doctor. “It’s a fear. It’s how a doctor communicates. The first thing is to listen and not be judgemental,” she said. “Sitting in the sitting room they feel self-conscious. I hate it myself and my skin is pale. 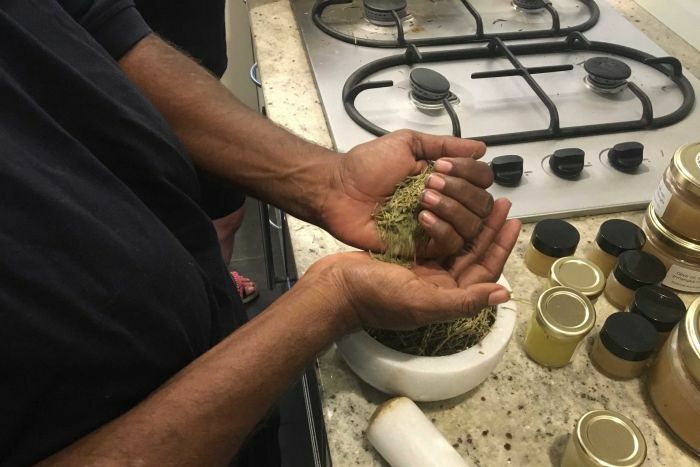 Photo Healer Debbie Watson makes her own bush medicine from natural ingredients. She said the healers’ power for Indigenous people lay with their ability to reconnect them to culture, the lifeblood of their spiritual being. “They’re more open. Because they are traditional they’re respected. The healers also respect the clients,” she said. 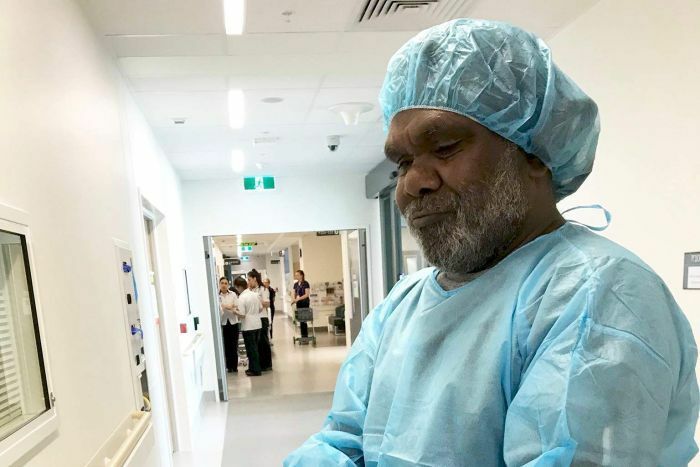 Photo Anangu healer Cyril Mckenzie working at the Royal Adelaide Hospital. “A lot of GPs don’t understand traditional medicine, so automatically they have to be sceptical of something they don’t understand,” Dr Wardle said. “Really people shouldn’t expect a miracle cure, they shouldn’t reject other treatments,” he said.